When you apply for a benefit from U.S. Citizenship and Immigration Services (USCIS) — such as a work permit, citizenship, green card or even a green card renewal — a standard part of the process is a biometrics appointment (also known as a biometrics screening). It may sound scary, but it shouldn’t be a concern for most people. However, it’s important to understand what happens at your USCIS appointment, what to expect, and who should be concerned. 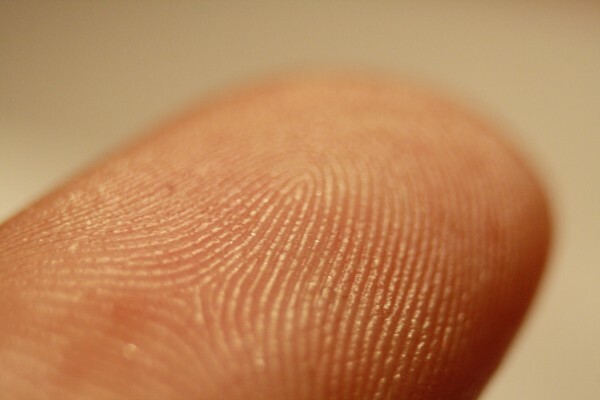 The technical definition of “biometrics” means that a person’s unique physical and other traits are detected and recorded as a means of confirming identity. In simple terms, USCIS will obtain your photograph, fingerprints and have you sign your name. This process confirms your identity so that USCIS provides benefits to the correct person and facilitates the necessary criminal background check. In rare circumstance, USCIS may request DNA testing for immigration cases where applicants are either from developing countries and do not have birth certificates, or when there are suspicious discrepancies within the case. You will receive the biometrics appointment notice after you submit your application or petition, and the appointment will take place before you receive any benefits or a card in the mail. The letter will arrive as an “Application Support Center (ASC) Appointment Notice” (Form I-797C, Notice of Action) and will include information about the date, time and location for your ASC appointment. The appointment itself takes most people 15-30 minutes. USCIS recommends that you attend the biometrics appointment at the Application Support Center that has been scheduled for you. If the location of this ASC is not convenient for you, some applicants have been able to reschedule the appointment at an alternative ASC. A change in location is at the discretion of USCIS. For a list of ASCs, see the USCIS Service and Office Locator. Again, USCIS will schedule the time and location for you. 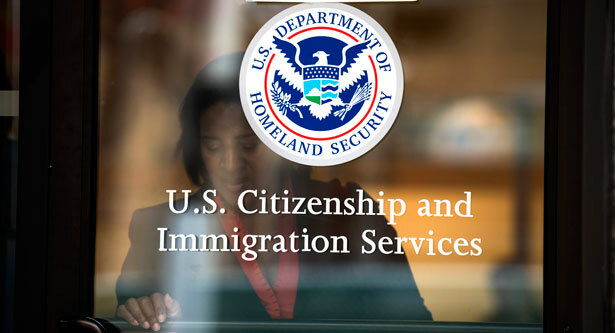 USCIS recommends that you appear at the ASC which has been assigned to you. It is generally recommended that you attend the appointment that is scheduled for you. However, you may reschedule the appointment if necessary. Your appointment notice will have instructions on how you can reschedule. Typically, you will need to send USCIS a written letter to let them know of your inability to attend the scheduled appointment and a requested date that you will be available. Depending on the type of application, region of the country, and USCIS workload, the biometrics appointment could be scheduled on day within 3-8 weeks of filing your USCIS form. It is important to understand that USCIS Application Support Centers cannot reschedule the appointment for more than 30 days and are instructed to provide applicants with a reschedule date within a 30-day time frame from the date of the reschedule request. It is likely that the application/petition you have filed will be denied if biometrics is not satisfied within a reasonable time frame as scheduled by USCIS. If you have more than one person in your family that requires a biometrics screening, it’s more convenient to have the scheduled together. USCIS will attempt to schedule your family’s biometrics appointments together. Unfortunately, this doesn’t always happen. If you have received your appointment notice, but your dependent(s) have not, it may be possible for your family members to attend your appointment. The USCIS ASC may agree to capture their biometrics on the same day even if they do not have scheduled appointments. The decision to combine the biometric screenings is at the discretion of the ASC. The ASC may refuse to do so. Generally, children under 14 years of age are exempt from biometrics fee. However, your child must still appear at the ASC if a biometrics appointment has been scheduled by the USCIS. You cannot ignore this notice. It’s likely that your child is being called in for a “Code 2” biometrics appointment. For children who are adjusting status, this information is necessary for the generation of the permanent resident card (also known as a green card). You may also be requested to bring other documents such as a legal name change decree, marriage certificate and birth certificate. This depends on your case, so read your appointment instructions carefully. I declare under penalty of perjury that I have reviewed and understand my application, petition, or request as identified by the receipt number displayed on the screen above, and all supporting documents, applications, petitions, or requests filed with my application, petition, or request that I (or my attorney or accredited representative) filed with USCIS, and that all of the information in these materials is complete, true, and correct. The language is only displayed in English or Spanish. If you require a different foreign language, USCIS recommends that you select the appropriate language translation and review it before you appear for your ASC appointment. Most people don’t need to worry about the USCIS biometrics appointment and subsequent FBI background check. However, if you think you might have a criminal record, contact an immigration lawyer before going to a USCIS biometrics appointment. (If you think you might have a criminal record, you should contact an immigration lawyer before filing any USCIS form.) Some crimes will make you ineligible for immigration benefits. A lawyer can request a background check before USCIS does and deal with it as necessary. Once you have completed your biometrics appointment, you will be given a stamp on your appointment notice confirming that you attended. Keep this document safe. 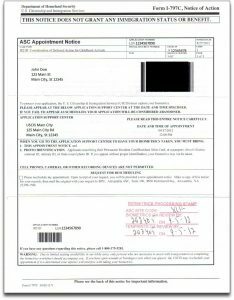 It serves as proof if USCIS cannot find its record stating that you attended the appointment. The next step depends on the type of application you filed. Some, like marriage cases, require an interview; others, such as employment-based petitions, only require interviews when there are issues that need further inquiry. If you get another biometrics appointment notice in the following weeks, don’t panic. This is usually the result of smudged prints, and fingerprints will need to be retaken to complete the background check. USCIS will not charge an additional fee. Depending on your application type and the service center processing it, it may be several weeks (or months) before you hear from USCIS again. Remember, you can always check the status of your case online. There are many reasons USCIS may require an additional biometrics appointment for you. 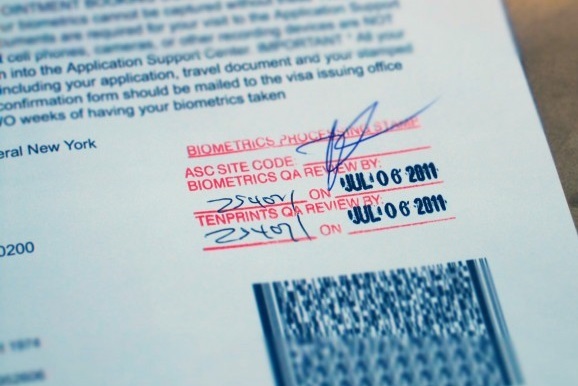 Biometrics data is considered valid for a period of 15 months. Therefore, it’s very common for applicants to attend multiple biometrics appointment. This can occur if an application or petition is pending for several months or the person has requested a separate immigration benefit from USCIS. I need to travel. Can I get an earlier biometrics appointment? Generally it’s best to show up only on your scheduled appointment date and time. But if you need to travel abroad before a scheduled USCIS biometrics appointment (or before the appointment has been scheduled), it may be possible to attend your biometric screening early. Show up at a USCIS Application Support Center (ASC). Not all USCIS offices are the same. Only ASCs perform biometric screenings. Which documents should I take to my biometrics appointment? You should take the original or a copy of the USCIS biometrics appointment notice, your I-797 Notice of Action (receipt letter), and photo identification (e.g. passport, green card, employment authorization card, driver’s license, etc.). Documents required may change without warning, so we advise that you read your biometrics appointment notice carefully and bring all documents as requested on the notice. What is my biometrics notice code? USCIS may place a biometrics notice code in the upper right corner of your biometrics appointment notice (I-797C). This code is an internal note to the Application Support Center employee, indicating what data is needed. Code 1: USCIS will collect a set of all ten fingerprints. USCIS will electronically send the fingerprints to the FBI the same day. The FBI will conduct a criminal background check by running the fingerprints through their database. Code 1 is a standard portion of your background check and determines eligibility for certain immigration benefits. 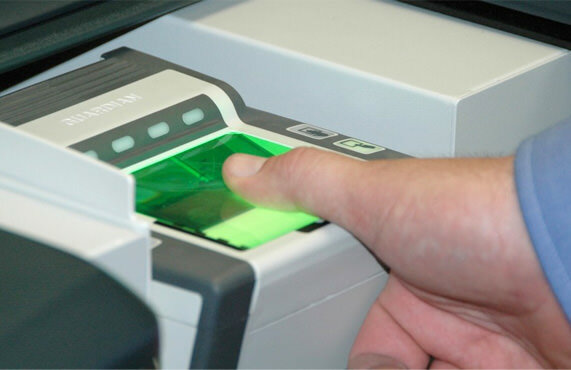 Code 2: USCIS will take a digital photo, obtain your signature, and fingerprint your index finger for use on a card (such as a green card or employment authorization document (EAD). Code 3: USCIS wants to perform both Code 1 and Code 2 requirements. In other words, they want to collect information for both a background check and card. My child under 14 years old. Does he/she need to attend an appointment? If your child receives an appointment notice from USCIS, he or she should attend. You cannot ignore the notice. Although your child may be under 14 years of age and you may not have paid the biometrics fee for your child, he/she must still appear at the ASC if a biometrics notice has been issued by the USCIS. What happens after my biometrics appointment? The next step and the amount of time that it will take really depend on your application and the type of immigration benefit that you’ve applied for. Remember, USCIS provides resources to help you check the status of your case and view typical processing times. I've been scheduled. What if my spouse and/or child have not? It’s very possible that all family members will not be scheduled at the same time. If you have received your appointment, but your dependent(s) have not, it may be possible for your family members to accompany you to your appointment. The USCIS Application Support Center (ASC) may agree to perform their biometric screening on the same day even though they do not have appointment notices. Note, however that this is at the discretion of the ASC, and the ASC may refuse to do so as well. Each family member should appear at the Application Support Center with their I-797, Notice of Action (receipt letter) and at least one photo identification (e.g. passport, green card, employment authorization card, driver’s license, etc.). Also take evidence of relationship (e.g. birth or marriage certificate) for family dependents accompanying you. If the ASC refuses to process their biometrics at the same time, your family members will need to attend the biometrics appointment scheduled at a later date.